Members and friends of the Adams County Habitat for Humanity Board participated in a dedication of the newest home completed. From the left facing the camera, Bill Tyson, Stacy Gross, Jennifer Gross, and Lynn Cairns. 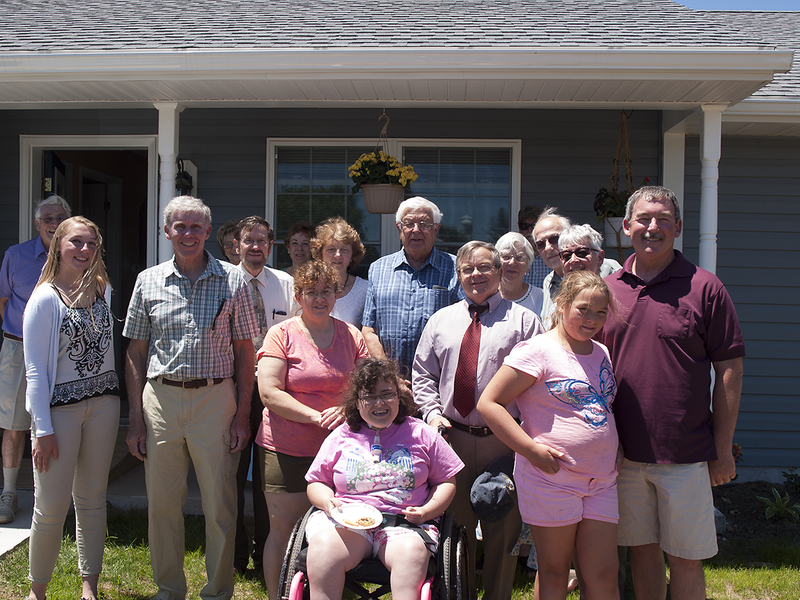 Group photo taken during the Adams County Habitat for Humanity Dedication and Open House on June 12, 2016. Front row: Sarah Ricker, Bill Tyson, Jennifer Gross, Stacy Gross, Jim Martin (County Commissioner), Mia Ricker, Pete Ricker (SVP-ACNB Bank). 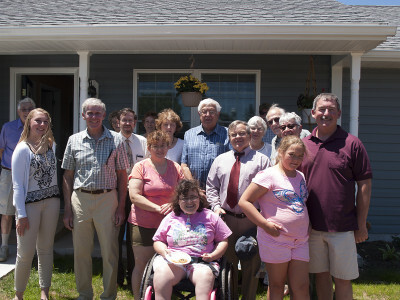 Middle row: Lynn Cairns, Dottie Cairns, John Phillips, May Phillips, Bill Leslie, and Judy Leslie. Back row: Bill Scott, Carolyn Scott, Susan Tyson, Betty and Don Howard. 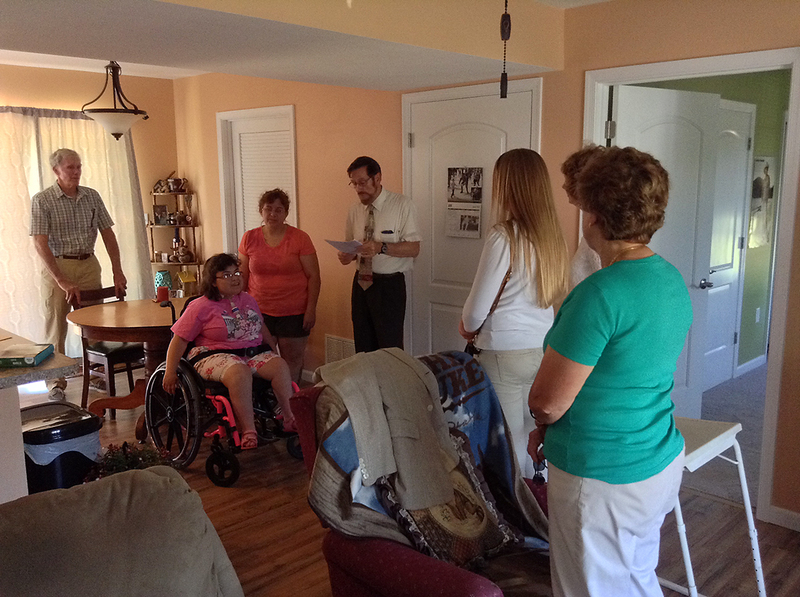 On June 12, 2016, the Habitat for Humanity Board and members of the community joined together to welcome Jennifer Gross and her daughter to their new Habitat for Humanity home, the 38th home completed by the Adams County nonprofit organization.